TRAILER: Lady Gaga In A Star Is Born - Joe.My.God. Lady Gaga is ready for her big screen debut! The musician stars alongside Bradley Cooper in A Star is Born — a remake of the 1976 film starring Barbra Streisand and Kris Kristofferson. Gaga plays an aspiring singer whose career begins to take off after she meets Cooper’s washed up country singer Jackson Maine. 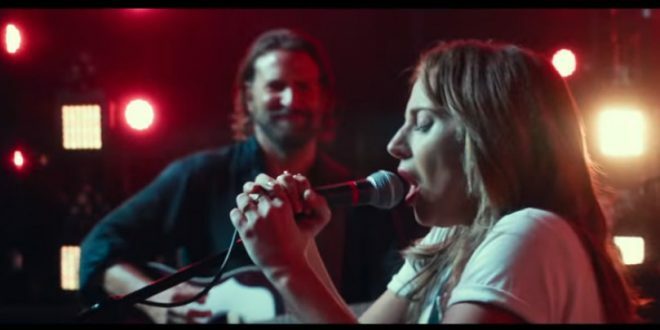 The first trailer offers a hint of the drama to come in the film, but mainly focuses on how Cooper and Gaga’s characters meet and her reluctance to want to be on stage. The movie also marks Cooper’s directorial debut and features the actor singing live. A portion of the film was shot during Coachella in 2017. Do I even need to point out that this is actually the third remake of A Star Is Born?